Creating a wedding scrapbook is a great way to preserve your special day – and we’re here with tons of ideas for wedding scrapbook page titles for you to use as inspiration to make sure every moment is captured! Can I have this dance…for the rest of my life? May I present to you – our happy couple! 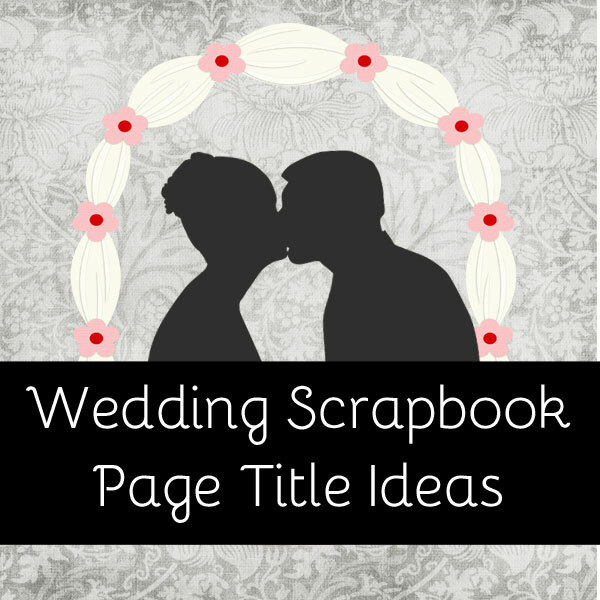 Have a wedding scrapbook title you would like to share? We’d love to hear about it in the comments section below!